Little Elephant and Mama Elephant are going for a walk. “Hold on to my tail,” says Mama. “If you want to ask me a question, tweak twice.” Tweak, tweak! “Mama, what is that?” Little Elephant is curious about the frog, the monkey, the songbird, the butterfly, and the crocodile—and especially about what a little elephant can do. Mama knows just how to answer, to help her cherished Little Elephant grow. 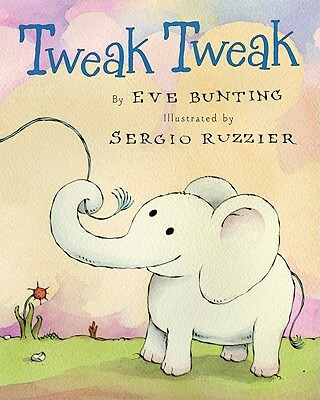 Eve Bunting’s tender text and Sergio Ruzzier’s whimsical illustrations make this walk with Mama an excursion any little elephant would enjoy.